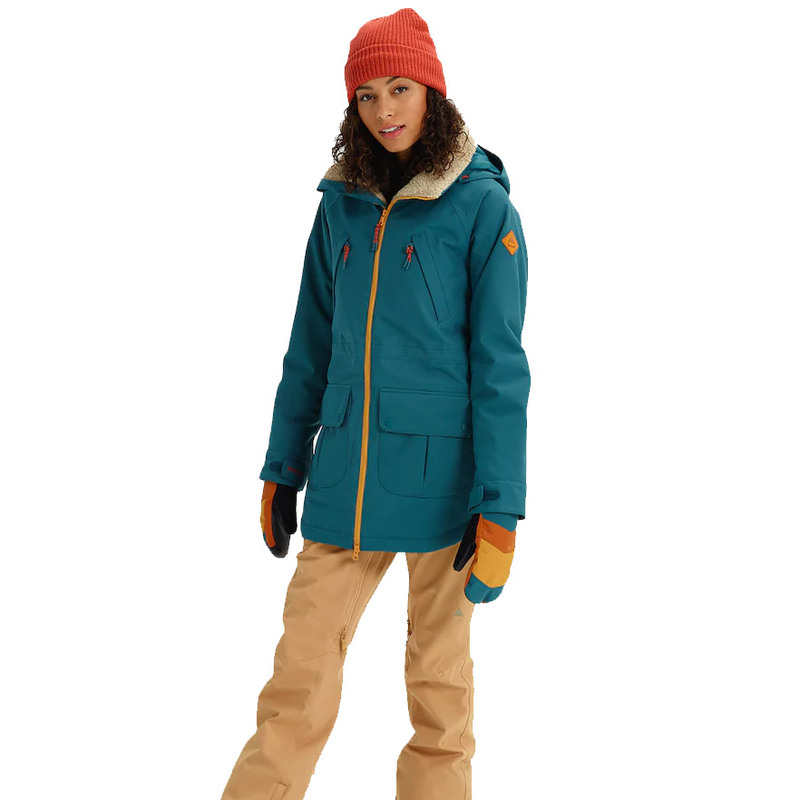 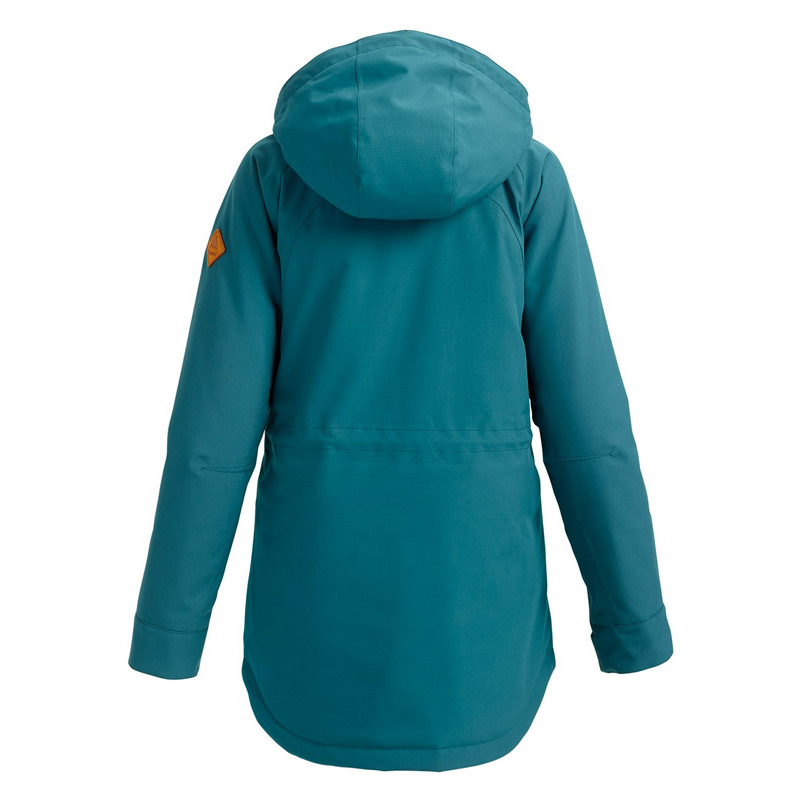 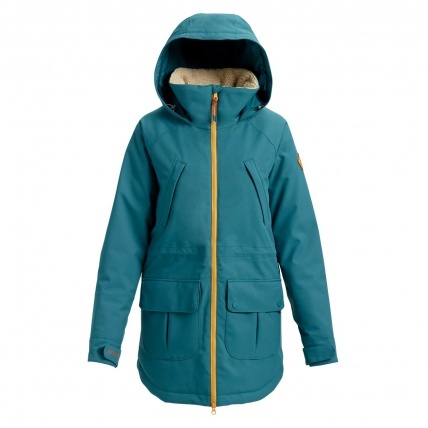 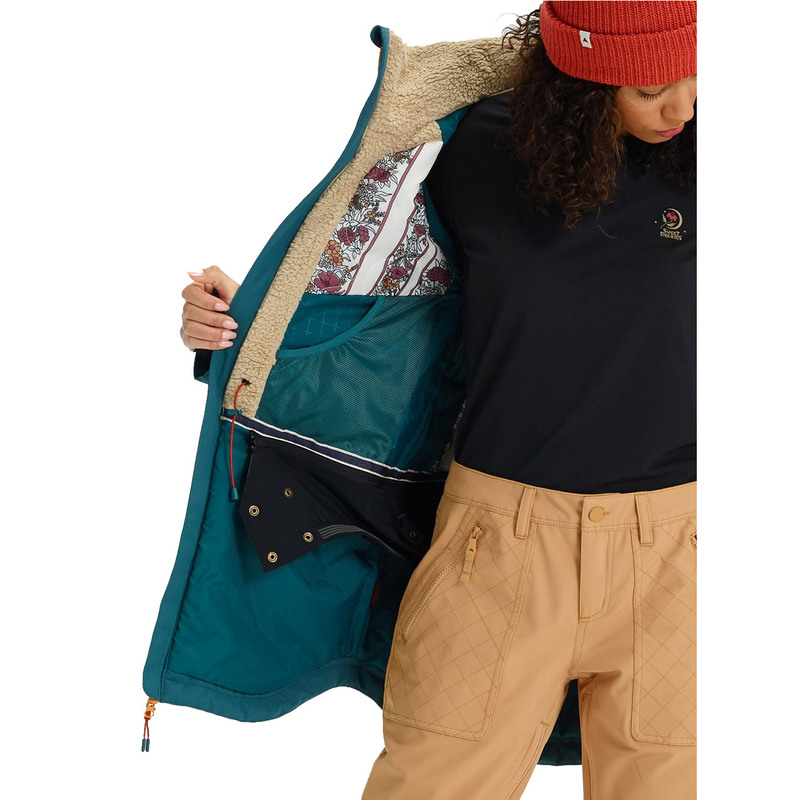 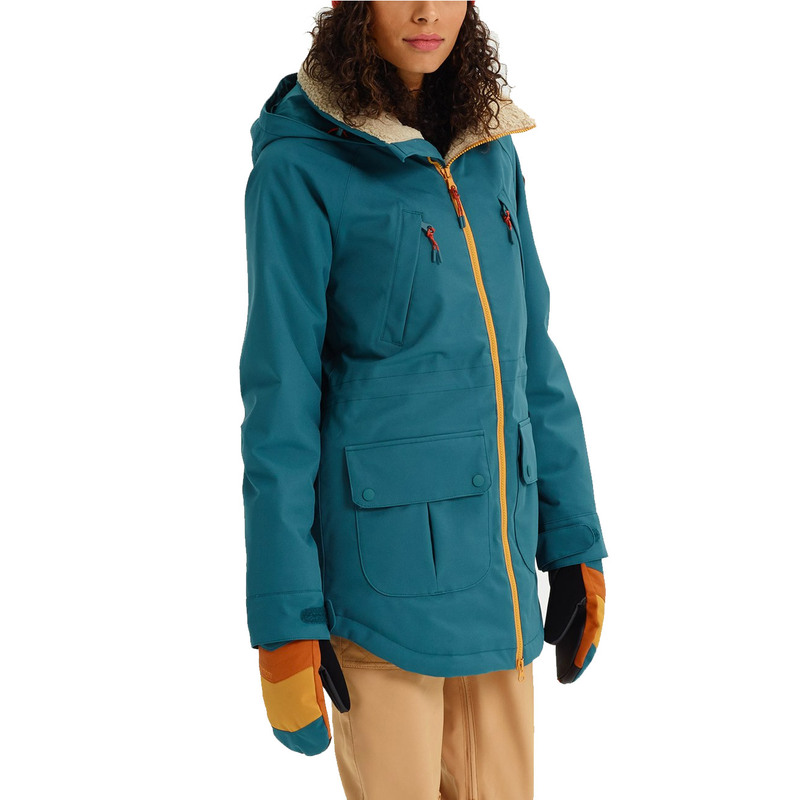 The Womens Burton Prowess Jacket boasts a combination of great in-trend styling, modern fabrics and features that will make every snowboarder happy and equipped for the slopes. 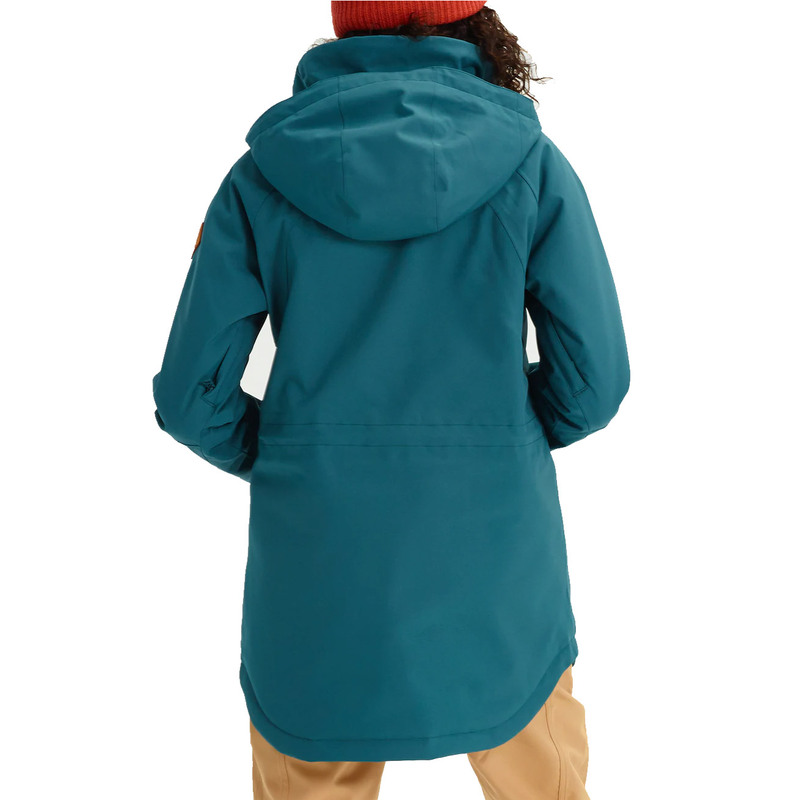 The longer tail adds extra coverage that further improves its ability to seal out the cold and along with DRYRIDE Durashell 10K/ 5K fabric the Prowess is equipped to be even more waterproof while being breathable at the same time. 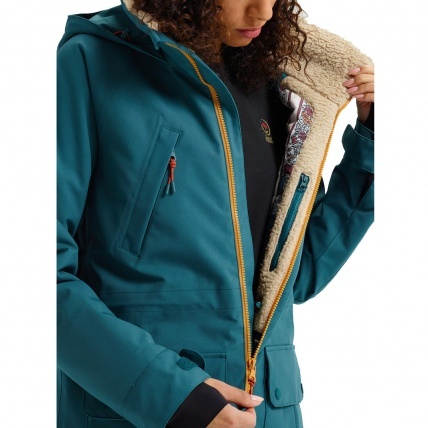 The 40% recycled THERMOLITE Insulation in combination with the sherpa fleece lining guarantees that you will be toasty warm underneath while being eco-friendly at the same time, lets also not forget the Living Lining to further its breathable capabilities and enabling it to shrink or expand giving you your very own automatic climate control system.